Kinda thought it unfair that only Fay Da Bakery receives our patronage. 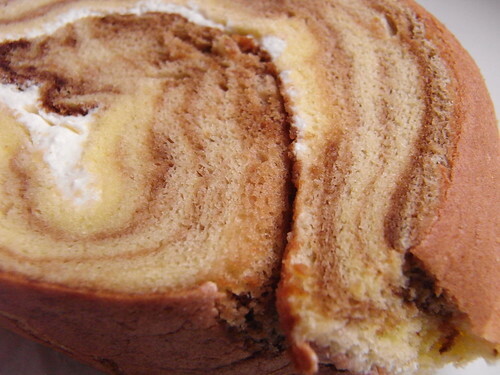 This roll cake with a coffee swirl from Grand Manna is a nice change up from the usual plain vanilla, and at 15 cents cheaper, is clearly the tastier winner! Love the coffee swirl! I think I've had a mocha version in Chinatown somewhere, too...sometimes it just hits the spot to have something light and spongy.